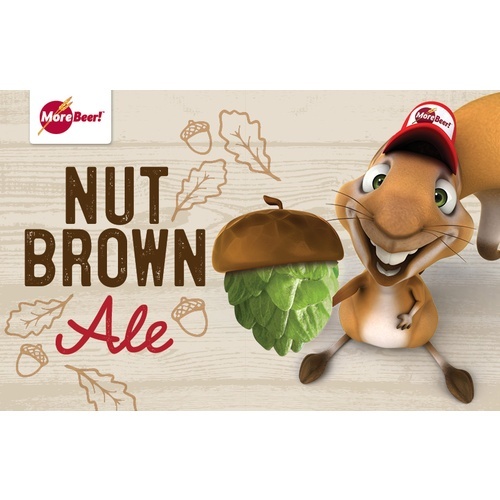 Our Nut Brown Ale has a richer, maltier, less bitter flavor than the American Brown Ale. Victory malt provides a nutty, biscuity flavor. A very full, robust beer. 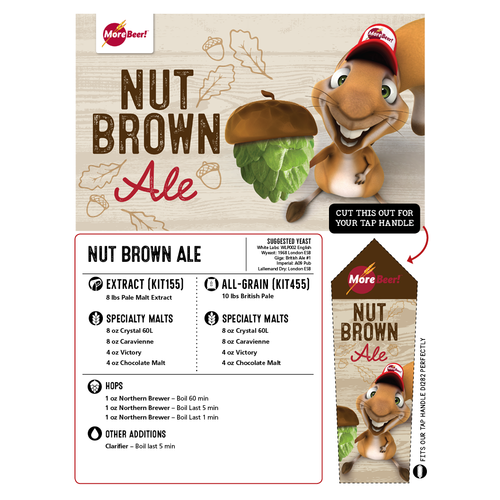 This Nut Brown Ale recipe is an excellent option in the fall and winter months! My husband enjoy's brown Beer. Brewed it before, years ago. Love browns! This one sounds tasty & has great reviews. Used this kit along with 2 bags of bourbon chips. Came out great. I’ve purchased this kit twice so far. The ingredients are well packaged and the instructions are clear and easy to follow. Both batches turned out great.it’s a great beer any time of the year. Nice color and great malt flavors. I've brewed this beer twice already. The first time around I followed the recipe exactly and used the best of both worlds yeast. It turned out great. Great color, great flavor. Nice toasty, nutty flavor. The second time around I used this as a base for a pumpkin ale. I added some pumpkin spice mix with 5 minutes left in the boil. After primary fermentation I racked to a secondary and added 2oz of hungarian oak that had been soaking in fireball for about a month. I aged the beer on the fireball soaked oak for about 3.5 months, then bottled the beer. I bottle conditioned for about 3.5 more months. I just tasted it and it was amazing. Great flavor, not overpowering pumpkin with a slight fireball boozy after finish. I made this for my first batch, and it got better and better with age. Thus far out of 4 batches, it has been the very best. I was sorry to see it gone. One of these days, I will do another batch. I brewed this years ago but I remember it was one of my best first batches! The 6th batch I've made and it's the best so far. I WILL make this again. I have made this several times now and I love it and so does anyone that tries it. It is a smooth beer that doesn't over power your pallet while delivering full flavor. Easy to make and I promise you that you will make this one over and over because your friends and family will be asking for it. There is a lot of conversation on Extract and All Grain. 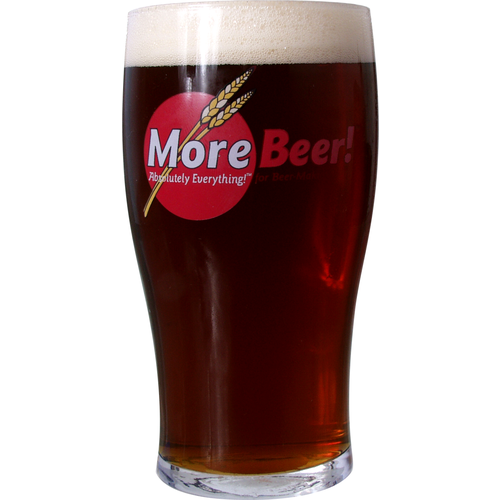 I have done both for the last 4 years and you can make a very good consistent beer with Extract. More Beer comes in fresh and the flavor holds! Was quite impressed with the complexity of this simple brew. One of the best Brown's I have ever brewed. The finish is wonderful and full of flavor - not overly malty, and perfectly bittered from the NB hopps. A great brew I will add to the rotation. New to the brewing thing, this was my 5th batch and was by far the best so far. Although my Neigbor's batch wasn't as good, it was because his bottling time was at to low of a temperature. He is inferior! Make sure your 2 week bottling temp is not too low. This was the second beer I had ever brewed, and now with almost a dozen successful brews under my belt this is still the best one. 10 Days in Primary, 14 days in secondary, and 3 weeks in the bottle. Tasted great, but continued to get better over several more weeks. Huge hit with friends and family. Will be ordering it again for this year. My wife & I smoked our pumpkin, added our favorite pie spices & this is the best pumpkin beer we have ever had. Have many more plans for this recipe! I am never disappointed with the Nut Brown Ale Extract Kit. Great taste and a hit with family and friends. I will reorder this kit. This was my first attempt at brewing. The batch came out GREAT! Single fermentation, in the bucket (instead of the carboy) 2 weeks fermenting, 2 weeks in the bottle. I would make it again...but there are so many different ones I want to try fist!! This beer is one of my favorite brews. Brewed it many times, even won a local brew HaHa contest with this kit. Malty & low bitter. It Sunday and I'm enjoying a couple pints out back with ribs on the smoker.. It doesn't get much better than this!! !